It is unfortunate that there is no manual instruction to living a life with chronic pain and for coming with terms with the limitations and challenges ahead. While most people have been able to recover from the trauma of their past experiences, illness, surgery, injury, for some the pain is just an ongoing phase and doesn’t stop at all. Dealing and living with pain requires utmost active personal engagement to increase the motion of the body and gradually reducing the intensity of the pain. The process usually involves a combination of physical, psychological, medical methodology. 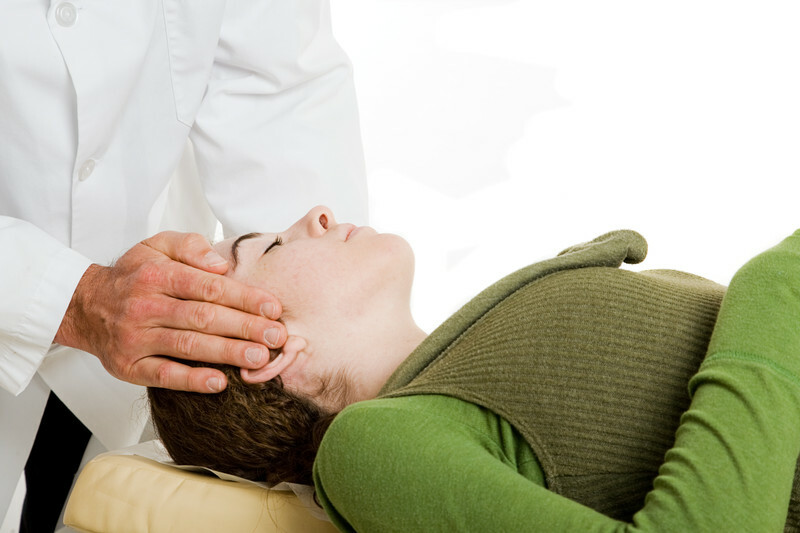 With the help of professionals one can achieve self pain management technique to cope with the complex condition. When you are made to live with physical pain and suffering, it’s quite normal to have feelings such as anger, frustration, sadness, depression take control over your life following the diagnosis. All these feelings are associated with the thought of having to lose the old self and contemplating the new self surrounded with constant pain. It’s indeed more difficult for patients who do not know when the pain might occur, leading to having difficulty in making plans to go shopping, to a party, or a usual get together with friends. It’s saddening when you can’t decide on a date to arrange a holiday owing to the fear that the pain might follow you there and everywhere. It’s strange how chronic pain can contribute severe restriction to physical functioning and impact your lifestyle. However, the condition can be managed and if you put in patience, dedication and commitment, you will be able to increase the amount and quality of things you can do gradually. The pursuits could be different but your life will be meaningful, with beauty and interest. As we await medical advancement for a cure, let’s make our life a joy, enjoyable and worthwhile existence. You are more than your pain. The present day might have turned your physical state of health into large storm clouds brewing and out of lively elements, but remember there will be blue skies when you feel at peace. There’s always darkness before the dawn. As you progress, you will learn to focus more on the positive part of your life, on the moment at hand and will be connecting and interacting with people and activities that uplift you for all the good reasons. The pain may always be there, but over time you’ll certainly learn to feel it less. Some of the best moment in life need to be conjured – hugging a new born baby, swimming in the ocean, watching a beautiful movie, appreciating a beautiful scenery, a flower, the touch of timber- invest more energy on reminiscing and finding solace in small things. Trust us: The pain will be there, but you’ll feel it less. It could appear difficult to accept a body that is not functioning as good as it should. Despite all the grieving, you, like many people will learn to lead a new life. People will learn to prioritize, plan and perform accordingly. Make sure you prioritize everything that is important in your day and then perform the task into small bites. Task such as simple as preparing a meal; break everything down into its component parts. The other things can wait and delayed. Focus, try and achieve one thing a day which in crucial. Later in the evening, recognize the hard work and celebrate each accomplishment, no matter how small it is. The amount of achievement will expand over the coming days and there will be time when you feel justifiably proud of yourself of how much you have learned to live with chronic pain. If you wish to know more on how get your life back on track after being diagnosed, do get in touch with our pain management doctors Las Vegas for all the answers under one roof. Neck pain does not have to remain a part of your life. By understanding your back and back pain you can start to heal from existing pain and alleviate the potential risk of back pain in the future. The best pain doctors in Las Vegas understands this. This is why they provide answers and care at the best pain clinics in Las Vegas The lower back is an impressive thing, composed of bones, joints, muscles, nerves, and spinal discs all of which work together to ensure your body functions at its best. These elements combine to not only protect your spinal column and nerve roots, responsible for sending and receiving messages throughout your body, but they also work together to help you stay balanced at all times. Understanding the anatomy of your lower back is the first step to truly appreciating pain and pain mechanisms. Once you begin to understand the effects the posture, whether sitting, standing, driving, or sleeping, has on your body you can start to alleviate acute or chronic pain by training yourself to employ better posture that takes unnecessary pressure off of your lower back and spine. You can avoid back injuries such as a slipped disc, sciatica, spondylolithesis, piriformis syndrome, or mechanical lower back pain. If you already suffer from any of these, or other forms of acute or chronic pain, you can now properly treat your injuries whether with heat, avoiding sustained postures, avoiding repetitive movements and heavy lifting, TENS, pain killers, or seeking medical treatment from your doctor. You can now look for warning signs so as to avoid injury. At the front of your stomach is the rectus abdominus. This is commonly referred to as the “6 pack” muscles. Then you have muscles which are located at the sides of your stomach and are responsible for helping you bend and twist. These are called the internal obliques. You also have muscles which are located at the sides of your stomach whose job it is to assist in twisting and bending. These are called the external obliques. There are small muscles located on each side of your spine which are responsible for stabilizing the spine. These muscles are called the erector spinae. Then you have a muscle which is located between the pelvis and the ribs which also sidebends your trunk. This is called the quadrates lumborum. After this you have the deepest core muscle as the TA or Transverse abdominus. There are also small muscles which travel the entire length of your spine wrapping around the bones. These are called the multifidus. 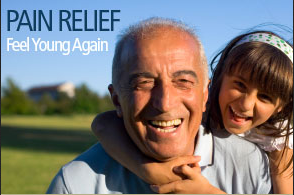 Las Vegas pain management doctors are some of the best in their practice. They know that pain stemming from nerve damage is excruciating. If you have any questions after reading this, please contact them immediately. Your spinal cord is the main nervous system in your body. It is responsible for sending signals from your brain to all of the other nerves in your body. Every nerve that comes from and leads to the rest of your body enters and exits via the spinal cord. You have thirty one pairs of spinal nerves which exit through your vertebrae. Where your nerves exits your spinal column is referred to as the nerve root. Where it branches into multiple smaller nerves is referred to as peripheral nerves. Peripheral nerves make up your peripheral nervous system. These nerves cover motor nerves and sensory nerves. Your sensory nerves are the ones which receive stimuli related to pain or how something feels. They sense your body movement and pressure placed against your body. Your motor nerves are responsible for stimulating movement and leading to muscle movement. Pain management doctors see a large number of patients suffering from neck pain, particularly cervical spine pain. 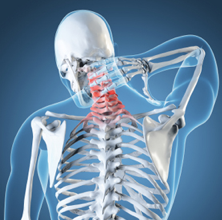 This type of pain is often caused by certain cervical spine conditions. Cervical foraminal stenosis occurs when the cervical space is narrowed. This is usually caused by a joint becoming enlarged and pressing on the nerve root. Since the pain takes years to develop and tends to appear only during certain activities, it is easy for patients to ignore the issue. It can get worse over time, however. Traction may offer some relief, but in most cases, cervical foraminal stenosis will require surgical intervention. 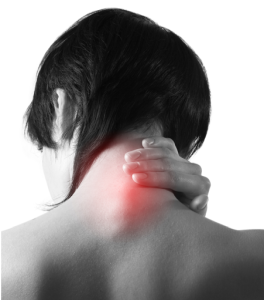 When the joints in the neck begin to degenerate, pain can occur. This is often referred to as neck arthritis, though the correct terms include cervical spondylosis and cervical osteoarthritis. No matter what name is used, the condition results in headaches that originate in the back of the head, a sensation that is strongest at the beginning and end of the day, but lessens during the day and radiating discomfort in the shoulder or shoulder blades. Upon examination, the doctor may notice bone spurs in the neck. These often press on nerves, causing the pain. 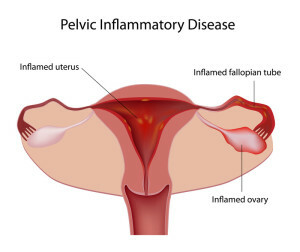 The usual treatment is to take anti-inflammatory painkillers such as ibuprofen and to rest when the pain is bad. Muscle relaxants and cortisone injections can be helpful, as well as traction to reduce the pressure on the neck. Cervical stenosis with myelopathy tends to occur mostly in the elderly. The condition is progressive and gradually tightens the spinal canal and pinches the spinal cord. This is more serious than the previously mentioned foraminal stenosis, because it will affect the entire body. As the spine becomes more compressed, the patient will notice pain in their arms and legs, often sharp and shooting, similar to electrical shocks. Fine motor skills may be lost and it gradually becomes more and more difficult to walk, as the legs feel heavy and numb. Surgical spinal decompression is the only known treatment for this condition. 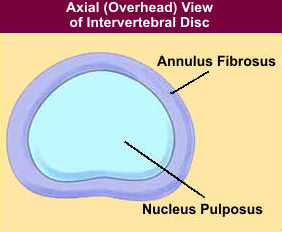 Cervical degenerative disc disease is characterized by the discs in the neck becoming worn out and thin. This can cause injury as the bone rubs against bone. 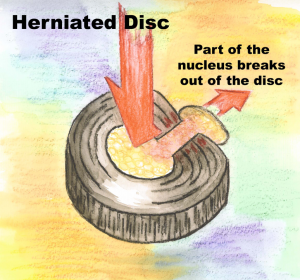 Unfortunately, discs cannot repair themselves as they have no blood supply of their own. Pain management doctors will likely prescribe NSAIDs and heat compresses to reduce discomfort. Certain exercises may also help by strengthening the muscles in the neck. Surgery is a last resort, but may be necessary. Perhaps one of the more common causes of neck discomfort is simply overuse. The muscles in the neck can be misused and strained, which causes ongoing tenderness. If not allowed to rest, the muscle ache may become worse. In this case, rest and ibuprofen are usually more than enough to get the patient on the road to recovery again. Pain management doctors can help the patient decide which method of treatment is the best option for the type of neck condition they have. While surgery is usually the last method to be tried, it is sometimes the best option if medication cannot help.